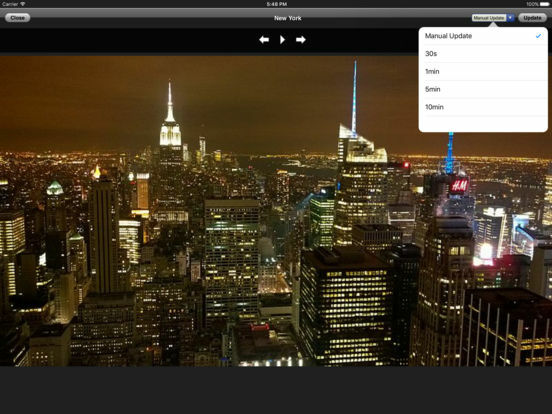 Turn your iPad into a digital photo frame for the webcams of the world. 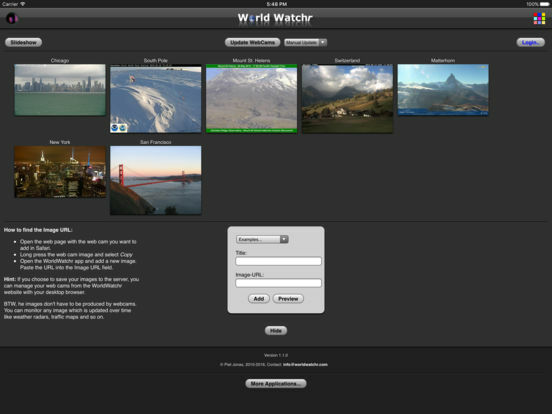 This way you can stay in touch with your home, famous places of the world, the current traffic conditions and much more by watching your favorite web cams on your iPad. 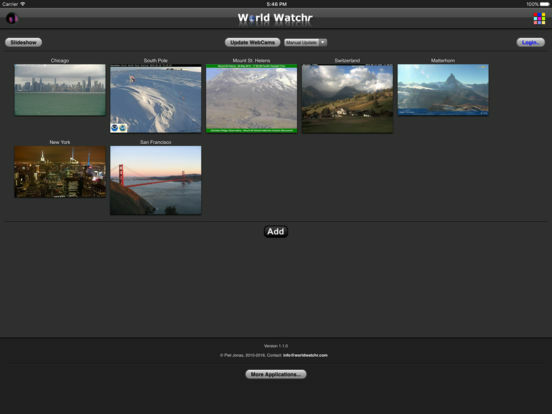 The WorldWatchr application makes it easy to monitor web images which are continuously updated (like web camera pictures). It can cycle through all your cameras and updates the images periodically. 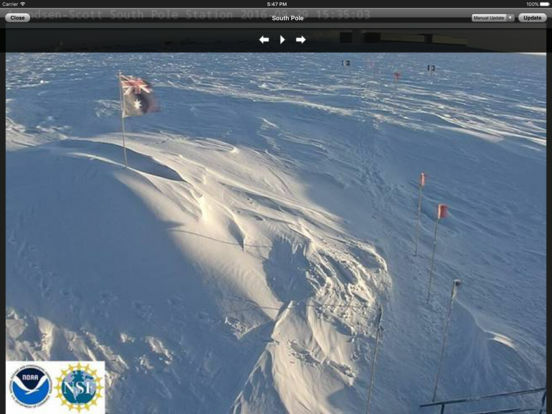 You can use drag and drop to rearrange the images. 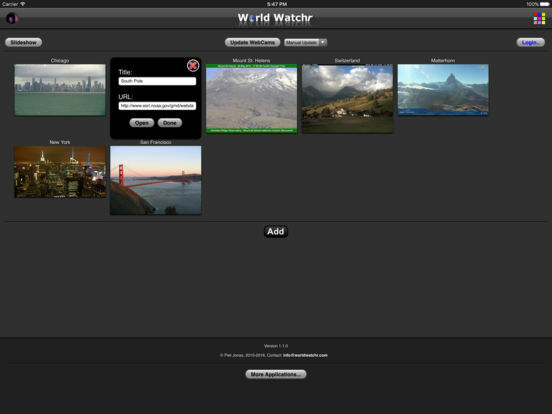 The webcams and settings are either stored locally on the iPad or on our server so that you can manage them from your desktop browser on www.worldwatchr.com.